Grunau Company was selected by the general contractor team of Gilbane | C.G. 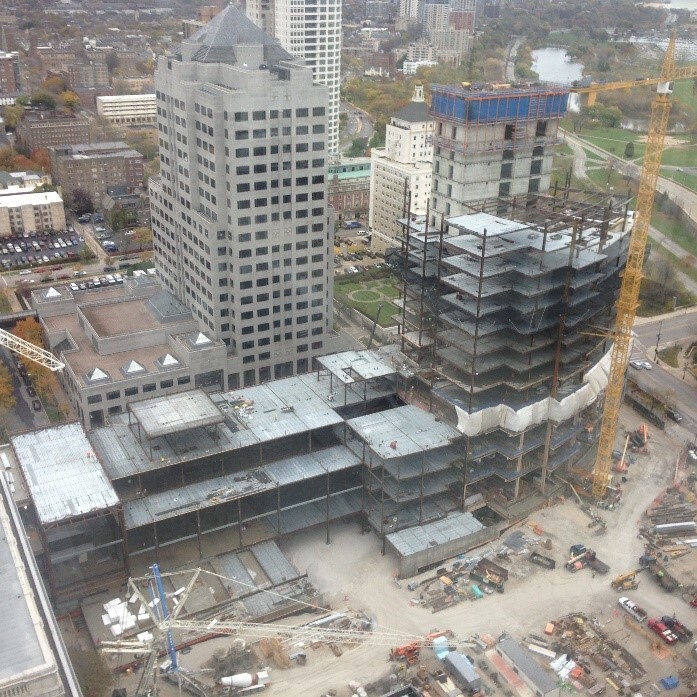 Schmidt Inc. to provide mechanical contracting services for The Northwestern Mutual Tower and Commons being built in downtown Milwaukee. Grunau is providing HVAC and plumbing as well as specialty metal fabrication services for the facilities, which will include a 32-story office tower and three-story common space totaling more than 1.1 million square feet under one roof. Read the whole story in our News Blog article titled "Grunau Company Helps Build a Better Milwaukee". Contractor: Gilbane / C.G. Schmidt Inc.